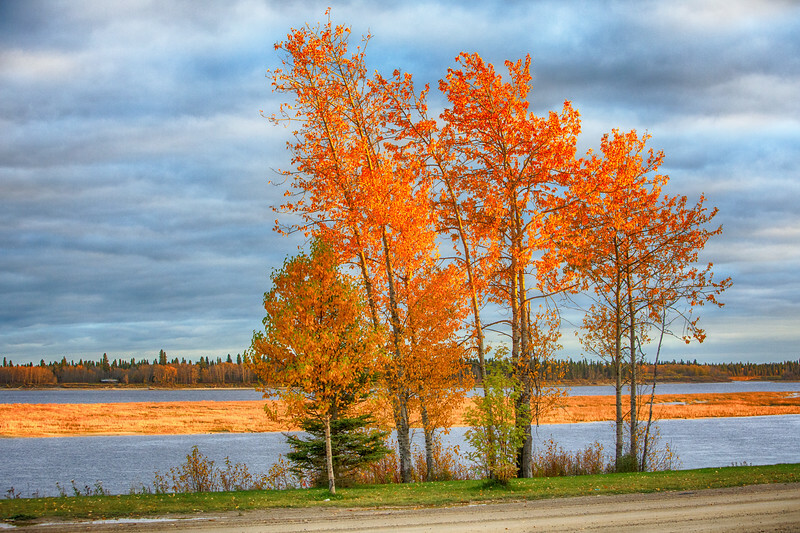 Bright colours along the Moose River in early evening. 2017 October 15th. HDR efx bright tone map.